Close to everything and right in town. Property 1: Close to everything and right in town. Charming Waterfront a-Frame Overlooking Lake Barkley. Property 3: Charming Waterfront a-Frame Overlooking Lake Barkley. Almost Paradise- Lake Area Rental 1/4 Mile To The Lake And Boat Ramp! Property 4: Almost Paradise- Lake Area Rental 1/4 Mile To The Lake And Boat Ramp! Property 6: Space To Spread Out! Beautiful view of Lake Barkley. Close to boat ramp and restaurant. 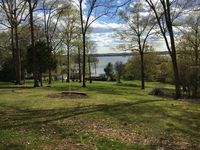 Property 12: Beautiful view of Lake Barkley. Close to boat ramp and restaurant. Lakeview Home, 5 Bedrooms, 2 Full Baths, Laundry Room, Open Kitchen-Family Room. Property 22: Lakeview Home, 5 Bedrooms, 2 Full Baths, Laundry Room, Open Kitchen-Family Room. LEISURE COVE 5 Bedrooms-Private Covered Boat Dock- Fishing-Swimming-Relax! Property 24: LEISURE COVE 5 Bedrooms-Private Covered Boat Dock- Fishing-Swimming-Relax! Cozy lake front home with gentle slope to covered dock and screened in porch. Property 27: Cozy lake front home with gentle slope to covered dock and screened in porch. Lake Front House With Dock On Goose Creek, Lake Barkley Kentucky. 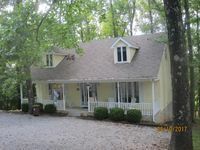 Property 31: Lake Front House With Dock On Goose Creek, Lake Barkley Kentucky. Beautiful waterfront on Lake Barkley. Perfect for families and groups. Property 33: Beautiful waterfront on Lake Barkley. Perfect for families and groups. Luxury Estate Right on the Water w/ 10 Acres of PRIVATE ZOO! Property 36: Luxury Estate Right on the Water w/ 10 Acres of PRIVATE ZOO!
! Lazy Daze on the shores of beautiful Lake Barkley. !! Property 44: ! Lazy Daze on the shores of beautiful Lake Barkley. !! Waterfront - Covered Dock - WIFI - Internet - $600/weekend or $1475/week total! Property 46: Waterfront - Covered Dock - WIFI - Internet - $600/weekend or $1475/week total! Very nice property, fast response time of owners. Nice property, great for family with pets. Our family and extended families had an amazing time being all together.